There's a reason this WonderWink Women's 6016 CBL Ceil Blue Bravo Cotton/Poly V-Neck Scrub Top is called "The Bravo." It's because the WonderWink brand did a great job designing this women's workwear. Well done, WonderWink. Well done. And what's even better about t ... (see full details) (see specifications) #6016-CBL. There's a reason this WonderWink Women's 6016 CBL Ceil Blue Bravo Cotton/Poly V-Neck Scrub Top is called "The Bravo." It's because the WonderWink brand did a great job designing this women's workwear. 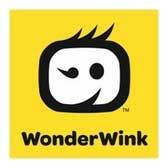 Well done, WonderWink. Well done. And what's even better about this whole ordeal is that you get to enjoy the comfort and performance of this ceil blue v-neck scrub top. It's carefully created with a cozy yet durable cotton and polyester blend that's easy to care for, and there are multiple pockets you can use for quick access storage, right at your fingertips. This isn't your typical unisex design that comes in one size that may - or may not - fit. WonderWink knew much better than that, and that's why they designed this women's scrub top to have a "lady" fit - one that's made for you to provide the utmost comfort. For a length reference, a size Medium in this ladies' top is 27-¾ inches. The Bravo women's v-neck is constructed with 65% polyester for long-lasting wear you can count on, and the remaining 35% consists of cotton for comfort and breathability. This combination produces an easy care fabric that lessens the stress of your work day. You don't want to have to worry about your work scrubs holding up or getting uncomfortable, so this WonderWink shirt is the way to go. Also included within this special design are two lower front pockets for convenient storage, and there's one WonderWink signature triple pocket with a hidden mesh pocket as well. That offers you with a total of five pockets to choose from or utilize all at once. Your workplace can be a hectic one, especially if your career is one that's in the healthcare field, so keeping your essentials right on your person is mighty helpful. You're not one of those pedometer-carrying folks out there - you just KNOW you get your 10,000 steps in and then some each and every work day. Save a few steps to ease up the chaos a bit by keeping some of your smaller required belongings right with you in these accommodating pockets. There's even a signature I.D. bungee loop so you can securely your I.D. badge safely, and an invisible three-part accessory loop on this design can come in handy, too, especially for keys and lanyards. Bravo, WonderWink. This brand of work scrubs has impressed us, and you'll soon be excited about this women's workwear as well. From its I.D. bungee loop to its multiple pocket options to its comfortable cotton and polyester blend, this WonderWink Women's CBL Bravo Cotton/Poly V-Neck Ceil Blue Scrub Top from Working Person's Store is more than ready to get to work. Get the coverage, comfort, and resilient workwear you need by ordering this Bravo scrub top today! Thank you very much! I'll be sure to tell my friends about your great customer service! WonderWink Scrubs: Women's 6016 CBL Ceil Blue Bravo Cotton/Poly V-Neck Scrub Top is being added to your cart.